This is a basic tutorial about implementation of a standard Fourier transform model in Excel. 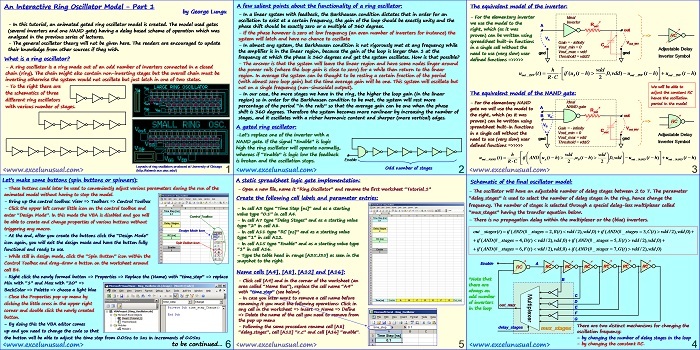 It is not an introduction to Fourier analyis. You could choose to familiarize yourself with the subject before proceeding with this tutorial. Solving a few Fourier transform excersises would be of help too. 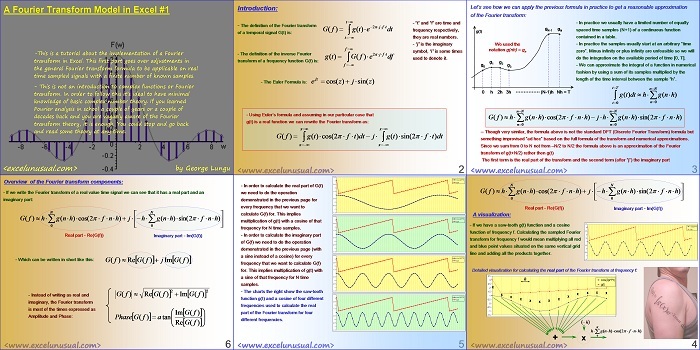 Essentially, this part shows you how to adapt the general Fourier formula for a continuous real signal to a sampled signal having a limited number of samples.